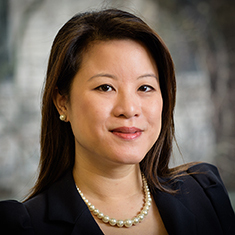 Emma Khoo represents clients across the wider financial services industry, focusing on regulatory and compliance work as well as transactional matters. She advises a wide variety of clients, including proprietary trading firms, hedge funds, broker-dealers, financial institutions, asset managers and general corporate clients. Emma regularly addresses Financial Conduct Authority (FCA) and European Union (EU) authorisation and compliance issues under EU directives, cross-border issues in the financial services sector, financial crime, regulatory capital requirements, conduct of business rules as well as data privacy compliance. She also advises on transactional matters including fund structuring, corporate transactions and commercial matters. At her prior firm she was also seconded to a UK government entity, where she provided counsel on key regulatory developments. Prior to law school, Emma worked at a global financial services data provider. Shown below is a selection of Emma’s engagements.